Welcome to today’s workout. This routine will take 21-Minutes per round. You can go through it once, or repeat it for a longer workout series. You don’t need any equipment for this workout. Just your body weight, and a little bit of space. As always, focus on maintaining good form during each exercise and get in as many reps as possible. When I filmed this workout, I paired it with the new 15-Minute Body Weight HIIT. I did one round of each and finished with some stretching. I posted my quick post workout stretching video below as well. Quote for the Day: “It’s not whether you get knocked down; it’s whether you get up.” Vince Lombardi. I love this quote. Recently I was reflecting on the fact that “The Little Engine That Could” was one of my favorite picture books as a child. If you’re familiar with the book, the train tries something she isn’t sure she is capable of and says to herself “I think I can, I think I can, I think I can.” So she does. In life we need that same determination. We need to think that we can do something, and then we need to keep practicing until we get it. Don’t quit because something is difficult. Exercise doesn’t just train your body, it trains your mind. You learn to work at a higher level, and your brain learns that you are capable of continuing in the face of challenges and obstacles. When Jesse and I got married the wedding coordinator said that I was the most laid back bride she had ever met. I told her that the wedding theme was joy and celebration, and as long as everyone had a good time I would be happy. Laid back can be a great asset, but I think event coordinators need to have more vision and attention to detail. Fun day boating for my sister’s birthday. Set Your Timer for 21 Rounds of 10/50. Buy a Gymboss now. Awesome! And thank you for the stretch afterwards! Thank you so much for all your dedication in posting workouts. I am so with you on event planning, I am terrible at birthdays, but my children at least do not expect much from me. I wanted to ask if there were workout building to a first pull up. I do not have much at home but weights. 🙂 I hope that helps! Thank you, am going to try when my kids are at the park. I would like to build to one pull up by the end of summer. At least that is the goal. At this age, the party is more for you than him anyway. 😉 Do something the adults will enjoy but will accommodate kids. Thanks Melissa! I’ll be going on vacation soon and this workout will be one of my go-to’s! Happy Summer! Très complet, très bien!!! Thank you!!! Thank you so much for all your amazing videos! I am loving your 12 weeks bikini competition program! I was wondering about uneven fat deposits, I have the left thigh 3 inches fatter! Is there anything that I can do to change that? 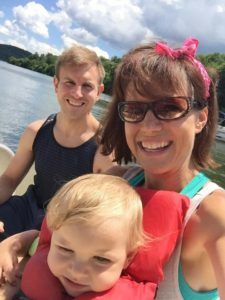 Melissa, thank you so much to your dedication to your fitness and this blog while being a mom and a wife. I love your workouts. I started before I had my son and have continued after. You’re amazing! I wanted to do the 12wk NPC program. Every time I go to ur website it takes me else where . I find them on YouTube but they’re not in order . How is it possible for me to get hear workouts all in one plan instead of looking for them in YouTube? This is my favorite total body workout of yours. Can’t tell you how many times I’ve used it! As always, thank you for letting us see you sweat and struggle through your exercises; it truly feels like you are in this fitness fight with me! Awesome! I did one round of this and followed it with one round of this http://www.benderfitness.com/2018/01/10-minute-ab-workout-fast-and-effective-core-exercises-bonus-jump-rope-cardio-fat-burn.html for a 30 minute workout. Abs are BURNING!!! !